My name is Jack Jones and I am the owner of Captain My Captain. I am passionate about boating and the culture of the water. I started my yacht/boat relocation business almost 12 years ago and since then, Captain My Captain has moved/relocated/delivered 100's of vessels around the world. We pride ourselves on attention to detail, professionalism, quality services, and a happy and satisfied client. I have been a Licensed Master Captain for 20+ years and everyone on our team has the Master Captain designation. 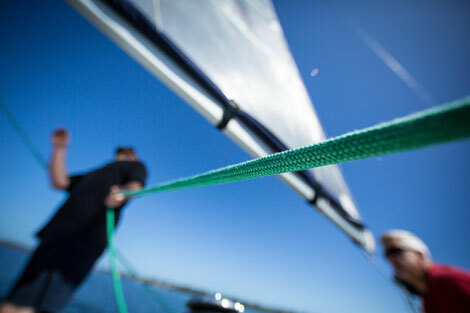 Our boat and yacht relocation methods depend on the vessel and beginning and ending destinations, but we always ensure that your boat or yacht is delivered without incident or damage. Captain deliveries always include two Master Captains for extra care, allowing you to have total peace of mind while your vessel is being relocated. We move boats and yachts worldwide from the Atlantic Ocean, Pacific Ocean, Indian Ocean, Mississippi River, St. Lawrence Seaway - basically anywhere in the world! Through 100's of projects, we remain unblemished and have maintained a perfect record of vessel relocation and delivery. We are a cut above the competition. Call us (407) 756-9798 to find out how we can help you with your relocation/delivery project.